Lunching in Tai Seng? There’s Cheap Food to Suit Every Mood! At AKÏN, we’re not fussy or snobby eaters – we’re actually quite easy to please when it comes to filling our tummies during lunch. Since our office is located in an industrial area (Tai Seng represent! ), there aren’t that many choices to begin with… or are there? A Straits Times article published last year touted Tai Seng as a hip food enclave (though a rather unlikely one), with no less than 10 eateries opening in the area over 2015. According to the article, this rise in new F&B outlets in the vicinity could primarily be attributed to a lower rental cost. Sadly for us, we’re a fair distance away from The Commerze @ Irving, the building that’s currently housing a plethora of fun food choices, so we’ve yet to check most of the eateries in the article for ourselves. 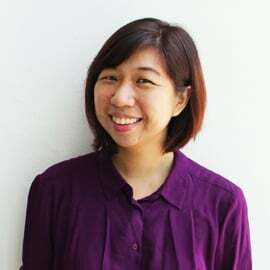 While there’s also a stretch along Upper Paya Lebar Road with eateries like Kay Lee Roast Meat, Domino's Pizza and Old Street Bak Kut Teh – it can also be quite a stretch for us from our office, particularly in the unpredictable weather as of late. #firstworldproblems aside, we have days when we feel like venturing out of our comfort zone, and days we just want a quick meal fix. 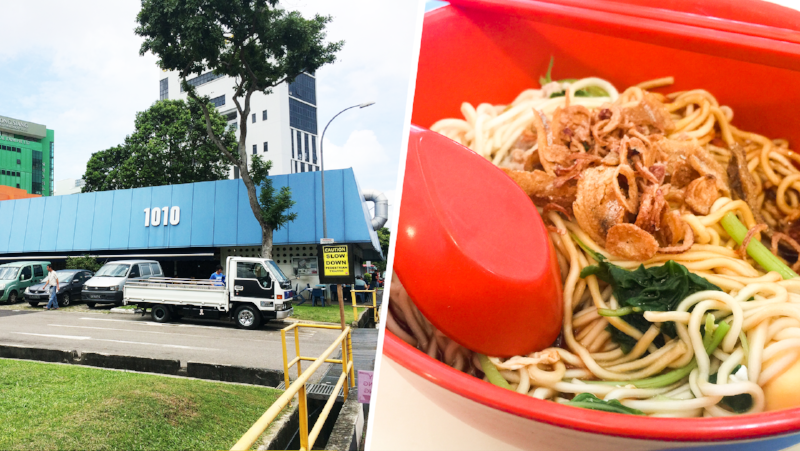 Here’s a list of our cheap lunch eats in the industrial area we call our work-home, and each joint’s culinary hits and misses in our very own words. Even though Kim Chuan (or ‘1010’ in AKÏN terms) is located just across from our office building, crossing the road to get there is quite a feat in itself, particularly when vehicles are constantly whizzing by without a breather! Located amidst workshops and garages, this humble eating house has over 10 stalls selling meals to hungry office workers and industrial folk based in the area. We typically zoom in on the central row of stalls, which includes Chinese pancakes and dumplings, Korean/Japanese food, and Indian-Muslim food. Prices across the board range from $2.50-$5 for a meal. Be sure not to stand idly when making your decision – you might get a scolding from the fast moving cleaning aunty with a chilli padi of a temper. Update (November 2016): The fish soup that Rachel (and now Deborah, our Junior Digital Strategist) raves about comes only in clear soup and with vermicelli noodles. For a milky kick and thicker noodles, order at the zichar stall next to Muhammad's 'favourite' Malay stall. The aunty will also regale you with stories about her food, at no extra charge. Further down in the heart of an industrial building cluster lies Friendship – or at least, that’s what Yew Yi (友谊) translates to in Mandarin. While this is not quite our go-to lunch haunt, we still make the trek over to 1024 on occasion for variation’s sake. 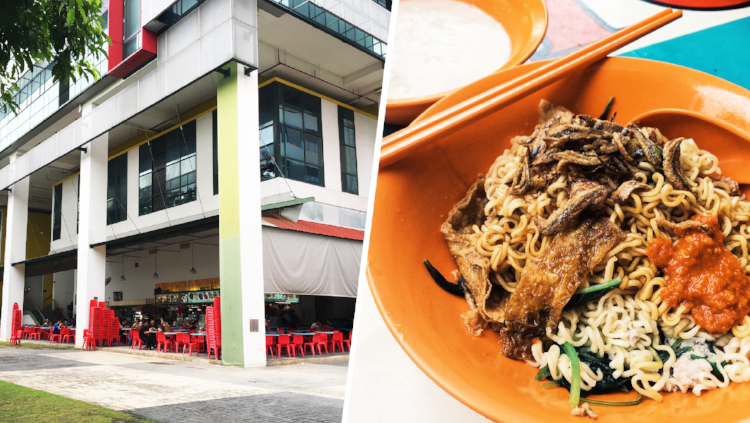 There may be less stalls here than the other cafeterias in the area, but the food is still decent enough, with yong tau fu, fish soup and mixed rice being the more popular stalls. Interestingly enough, our favourite food items are fried snacks from the Muslim stall (Warung Farlinish), which we happily buy as comfort food to munch on during the afternoon lull. The ‘bom’ (50 cents) is as dynamic as it sounds – who would have thought that fried banana cake would taste this good? We also love snacking on the fried breaded hot dog (70 cents) and the fried egg/potato pastry (70 cents). Well worth any calorie gained! Update (November 2016): A fruit juice stall (re)opened here a few months ago, which gives the team a healthier incentive to head over! The vegetarian stall here (Jilin Vegetarian Catering) also seems to be the only place in the vicinity where you can get brown rice as an option for your meal staple. Affectionately known to us as ‘Gao Gao’ (explanation to come), this is the furthest point on AKÏN’s ‘Golden Triangle’ (which also comprises 1010 and 1024). There is a greater variety of food at this cafeteria, though it’s a challenge finding a seat during the lunch rush. In other words, the drink stall there makes our teh peng (iced tea with milk - $1.40) exactly how we like it – gao (thick in Hokkien). Update (November 2016): Thanks to the recent bout of rainfall, there's been a lovely (and often over-enthusiastic) East-coast style breeze over here. Ladies - just watch your hair, and your skirts! Standing tall at the corner of Paya Lebar Road and Airport Road, BreadTalk iHQ serves as a taste of civilization in the industrial zone. This is one place we come to when we need a break from the Golden Triangle of industrial eats, and we’re clearly spoilt for choice with the BreadTalk group’s family of eateries: Toast Box, Ramen Play, Food Republic, the almighty Din Tai Fung, and of course, the eponymous BreadTalk. For a fresh after-lunch treat, check out Everton Creamery on level 2 for their fun ice-cream flavours. Next door to iHQ is the Sakae Building – but in place of a Sakae Sushi outlet is Hei Sushi, its Halal-approved sister restaurant. There’s also Hainan Eating House, but its meal offerings aren’t as extensive as the other places we frequent (though we occasionally enjoy their Sarawak-style Kolo mee). 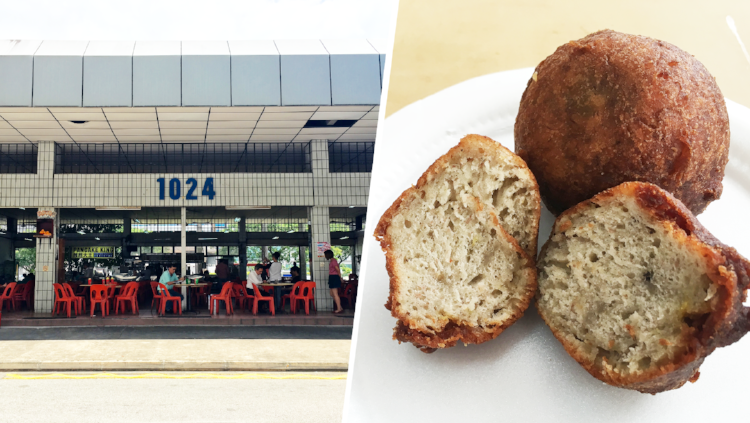 Update (November 2016): A yong tau foo stall has opened at Food Republic, to the joy of most of the team. We also recommend the braised beef noodles at the Taiwanese food stall! On days when we feel like heading out further for some good food, we cross over to MacPherson to visit Kin Kin Chilli Pan Mee, the Singapore branch of the original legendary outlet in Kuala Lumpur. 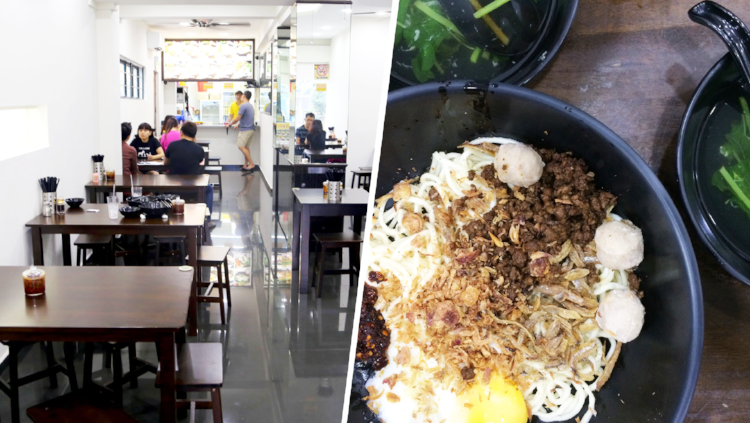 And legendary it is – their Signature Dry Chilli Pan Mee ($5) consists of springy noodles, chewy meatballs, flavourful minced meat and crisp fried anchovies, topped with a poached egg (though not always runny - boo). Mix in the pan fried chilli flakes and you’ve got a slice of culinary comfort right in that very bowl. For less excitement in your meal (aka the Pan Mee sans chilli – though some would deem it blasphemous), mix in the regular ingredients with douses of vinegar. That does the trick perfectly (at least for Mich). 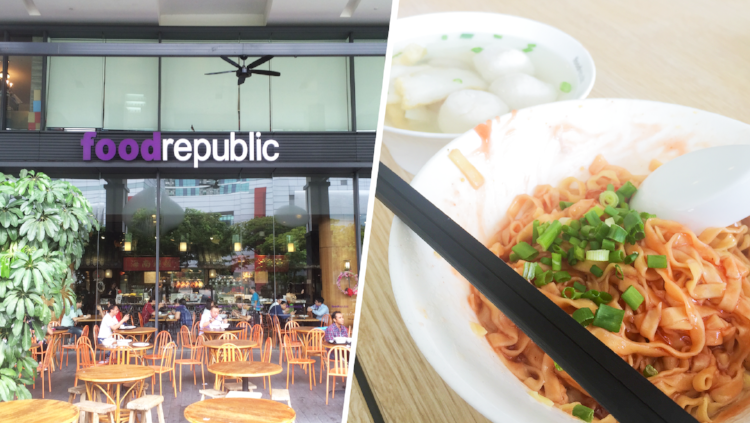 We hope this ‘AKÏN-sider’ list serves as a helpful guide for cheap industrial eats in our Tai Seng ‘hood’. We’re also always up for new eats (especially since we tend to eat lots of noodles, as seen from above) – recommend us a place around the area and we’ll give it a go! Happy lunching! Note: This article was edited in November 2016 with updated information.